A stall promoting Robertson’s Golden Shred marmalade at the Happy Homes Exhibition, Drill Hall, Silverwell Street. The exhibition was organised by Bolton Chamber of Trades to promote commerce in Bolton. 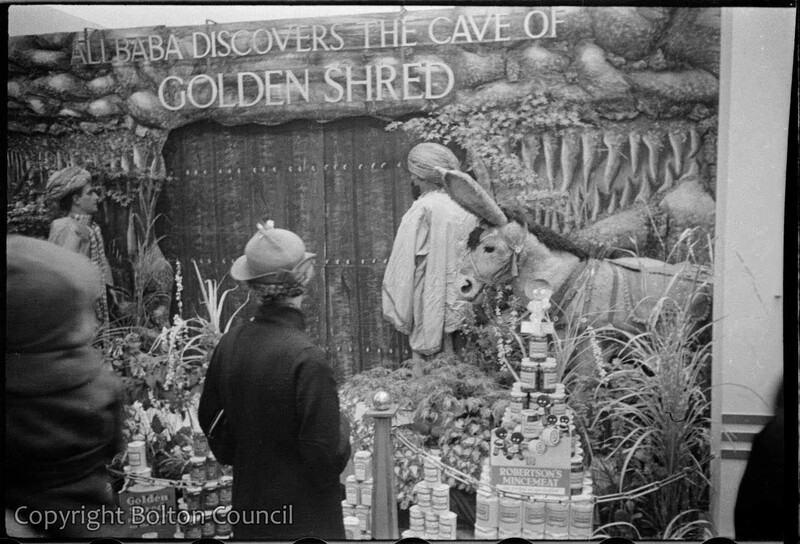 The Robertson’s stall used puppets including their famous Golly to promote their brand as seen in the next negative on this film (1993.83.09.20). The Robertson’s brand used to give out collectible Golly badges until the 1980s when the character became culturally unacceptable because of its racist connotations.